This Russian bath is built entirely from wood, but due to the fact that there is a lot of humidity and high temperature at the same time, unexpected troubles arise. Most often affected floors. It is they who take on the maximum load. 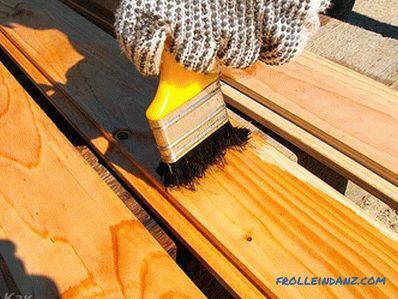 Deformation of the boards, mold and fungus, can appear quickly enough. On the other hand, in the bath it is unacceptable to use chemical agents, since evaporation can cause serious harm to health. Bath should bring the owners health and good mood. It is important to choose the right way to treat the floor in the bath. The floor in the bath is considered to be a place that needs special attention. They make floors only from boards or thick beams that have been heat treated. The floor should lie on steady, thick lags. According to the technology, logs should be based on a special brickwork. By observing these conditions, you can achieve the longest possible use of the floors in the bath. Bath construction specialists do not recommend painting floors. The only place where this is allowed is the dressing room. 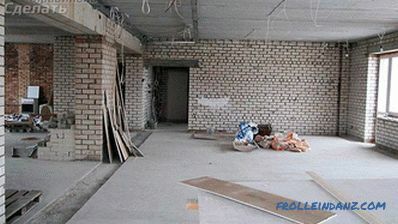 Another reliable option is to finish the floor of the washroom with tiles. She is able to perfectly resist all the negative factors that occur in the bath. Wooden crate can be laid only in the steam room. It is desirable to make a crate of coniferous trees such as fir, pine, spruce, alder. When heated, this tree is able to release beneficial substances into the air of the room - phytoncides, which are very useful for humans, when inhaled, and in the bath, when the body is steamed, they are absorbed even by the skin. In addition, such a tree has a very low thermal conductivity, which contributes to the additional maintenance of the temperature in the room. Another plus of conifers is that they do not cause burns when these surfaces touch. There are different opinions as to whether different floors should be treated substances. Arguments and opinions set. After all, the construction of a bath can be quite expensive, and I want this wonderful building to serve as long as possible. 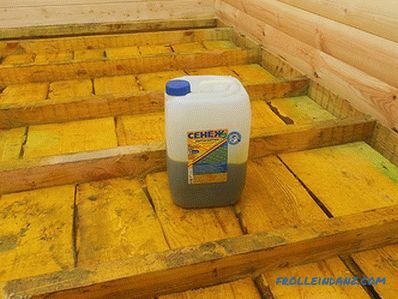 The most reasonable option is to treat the wooden floor with solutions that are as environmentally friendly as possible and do not endanger human health. 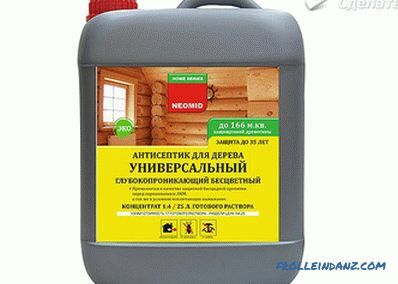 Among the many tools for the treatment of internal wooden surfaces in the bath, there are not only effective, but also those that do not emit harmful fumes. These tools include oil formulations. Their peculiarity is that they are absorbed into the wood, and do not cover the surface with a film. This is a significant plus, because, in this way, in contact with surfaces treated with this tool, there is no burn. 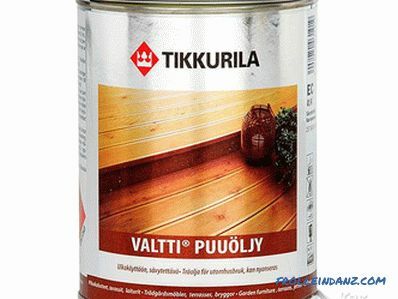 Clean and dry wooden surfaces with oil-based products. The composition is applied with a brush. The term of complete drying of the solution is not more than a day. After this bath is recommended to heat well. There is no need to treat wooden floor surfaces in any way, but at the same time, use wood that has already been heat treated. This material is much better resists not only high humidity, but also temperature. In addition, increased protection against pests that can undermine the floors. B Modern stores have a fairly large number of different materials for the treatment of floors in the bath. 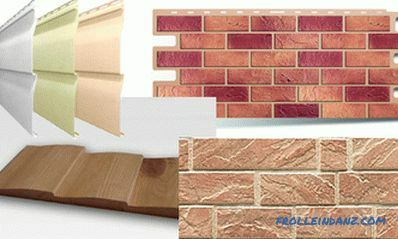 Such materials include, for example, varnish-impregnation. 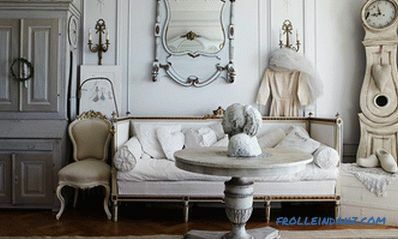 They are diluted with white spirit and applied with a thin layer on the surface of the wood. There are various impregnating oils. They appeared relatively recently, however, they proved themselves very well. These oils are not only highly effective, but also have the most important property for humans - they are absolutely safe for health. The composition is able to penetrate deep into the pores of wood. Antiseptics are perhaps the best option on the market, as they protect the wood, including insect damage, which can cause significant damage to the bath. In addition, floors are often prone to mold and mildew. In stores there is a fairly large selection of antiseptics. All of them are quite effective. Despite the treatment, there are cases when the floors still begin to darken and rot. In this case, you need to take action as soon as possible. In order to prevent damage to the floors, it is necessary to regularly dry the bath. 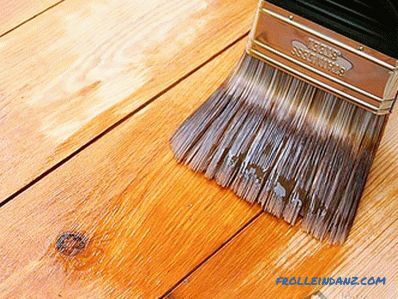 In addition, if you notice a darkening on the floors, these parts need to be dismantled thoroughly and dried.Then the surface is treated with sandpaper. After this, re-treat the floor boards with an antiseptic and thoroughly dry. The final step is to wax the damaged area. A frame bath with your own hands. Bathhouse made of foam blocks with your own hands.